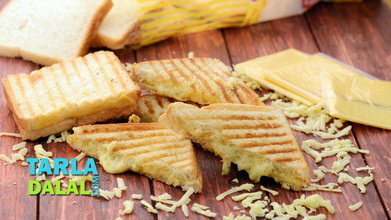 If the name makes you believe that this is a simple toast of bread with cheese and chilli flakes, you are in for a huge surprise. 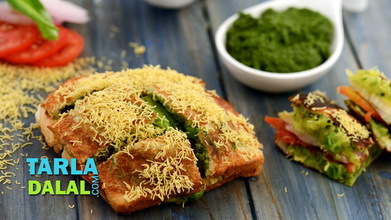 On Mumbai’s streets, Cheese Chilli Toast is an elaborate treat, of chutney-coated bread topped with a succulent mixture of cheese, capsicum and green chillies. 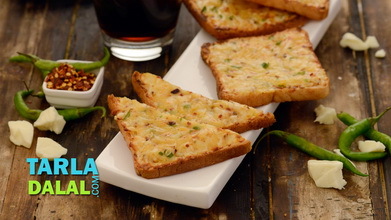 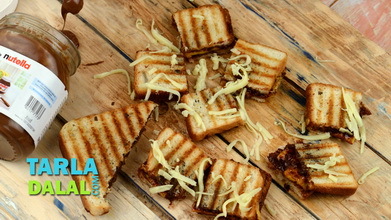 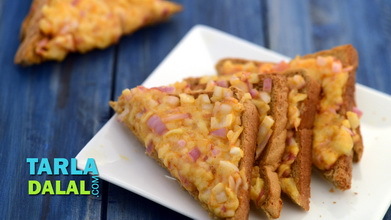 Toasted with a brushing of butter, the Cheese Chilli Toast is a snack that will perk you up instantly with its vibrant flavour and wonderful texture. 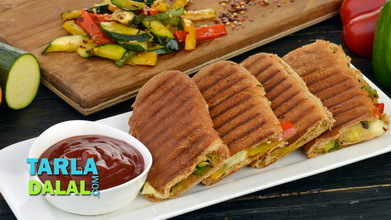 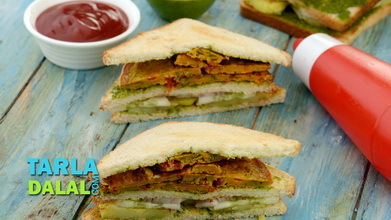 Serve it hot and fresh with tomato ketchup and green chutney. 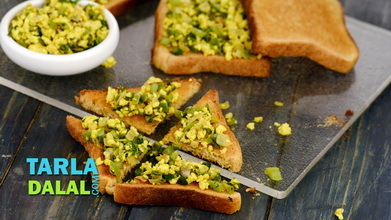 Combine the cheese, capsicum, green chillies and salt in a deep bowl and mix well. 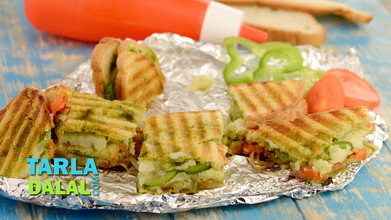 At step 9, keep turning the sandwich toaster and checking at regular intervals to avoid the toast from getting burnt.